It was the day at Sheffield Wednesday’s stadium for the FA Cup semi-final tie between Liverpool and Nottingham Forest that 96 Liverpool supporters lost their lives. It remains the worst disaster in British sporting history. It’s something that often makes you pause and reflect. I think about the people that went to a game of football and never came home. That should never happen. How do their loved ones cope every day with that? It makes me have nothing but admiration for the way they have coped and the way they have fought for justice for three decades. To say the past 30 years must have been traumatic for all of them is an understated description. People were wrongfully accused of so may different things that day and the narrative put out by certain people was far from accurate. The families, other supporters and Liverpool Football Club knew that is wasn’t right and the process to get the truth into the public domain, and for it to be acknowledged by all, was long. But they never gave up. They kept at it every day and never allowed people in authority to dismiss their claims. 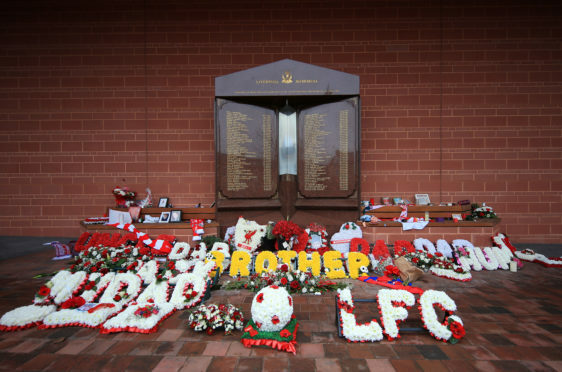 The tenacity and commitment shown by the families of the 96 victims was absolutely incredible. I have unbelievable admiration for each and every one of them. It was, and still is, extremely humbling. As the years have gone on, the news has been better and better and their efforts have been rewarded at so many different levels. Quite rightly, people have been held accountable as the facts emerged. And it’s not finished yet. There are one or two things still to come. The fight will continue and the way everyone at the heart of it all in the families have conducted themselves has been fantastic. They have represented the city of Liverpool and football wonderfully well. That’s why every football club in the land has been receptive and supportive because they know it could have been any football club’s supporters that afternoon. It just so happened to be Liverpool. And if the football club has been able to offer any solace during the period then that’s good to know. It’s the least we could have done. Football, of course, become secondary under such tragic circumstances. Scorelines, league positions, the pursuit of silverware all becomes insignificant in the grand scheme of things. That’s why we spoke to the families concerned for their wishes on what should happen to the FA Cup semi-final tie. They wanted the game to be played and we defeated Forest to set up a Final against our local rivals, Everton. The Merseyside derby was played at Wembley and we won 3-2 after extra-time. Naturally, to win the Cup was pleasing but it was never going to override the feelings we all still had at that time. We also managed to find some form of comfort from playing against Celtic at Parkhead in a game a few weeks after the Disaster. Celtic were first on the phone to offer any help and 60,000 people turned up to support the occasion. It just confirmed the great relationship between the clubs, albeit in the most unfortunate of circumstances. Overall, I’m often asked how I reflect on that day at Hillsborough and the aftermath. Did it affect my health and have a bearing on my decision to resign as Liverpool manager on the morning of February 22, 1991? How do you judge your health? It’s difficult to describe. How you are feeling is how you are feeling. You just go with it and do what you think is best for your mind and body. Sometimes you will have a medical certificate from a doctor and other times you won’t. All I do know is that I wouldn’t have changed anything in the period after Hillsborough. We attended the funerals and made a conscious effort to offer support and help to people suffering in the most unimaginable of circumstances. Marina and I were brought up in Glasgow, taught by our parents to be there when required for others less fortunate than ourselves, at any given time. That was our ethos. It was also the ethos of Liverpool Football Club. I only wish I could have done more back then, I really do. But when I resigned from my job as Liverpool manager, I just needed a rest. It was as straightforward as that. I can’t apportion blame to any one incident or any one period of time. It was a culmination of things, from my career and life. It was time to take a break. My family knew I needed it and it was the right thing to do, for all of us. But it was never about me. Never. It’s always been about the families, the survivors and the 96. To mark the 30th anniversary of Hillsborough there will be a private ceremony. On all such matters, the Football Club has always taken guidance from the families. That will always be the case. And rightly so.